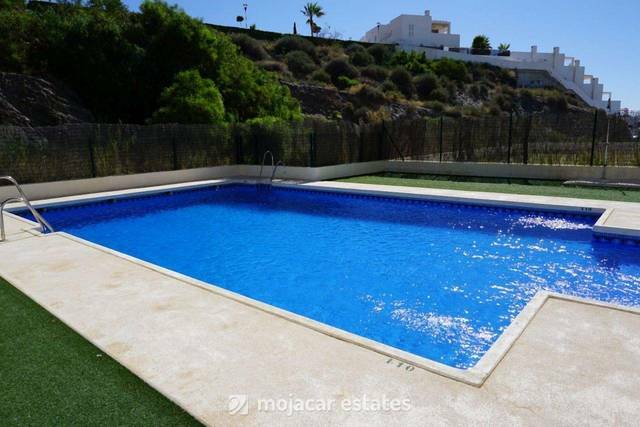 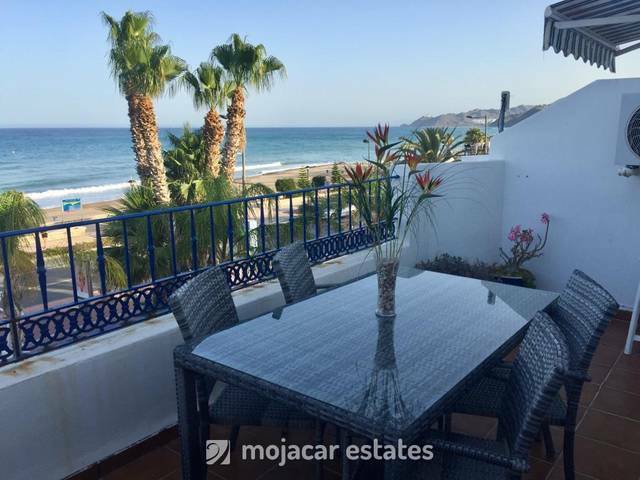 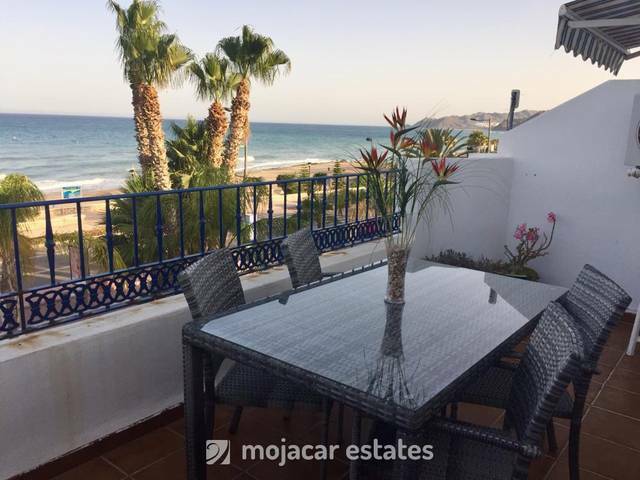 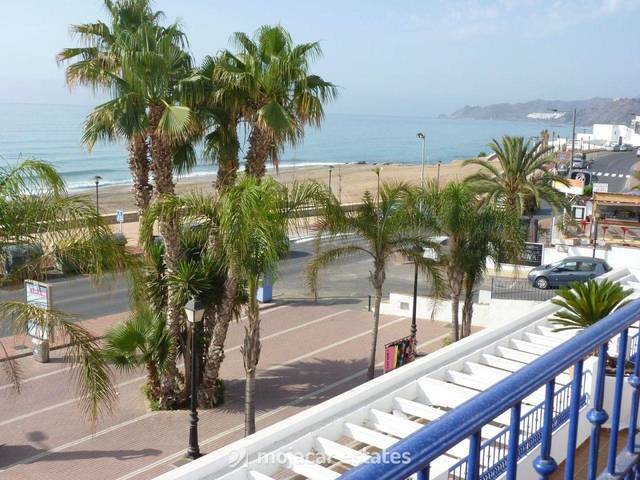 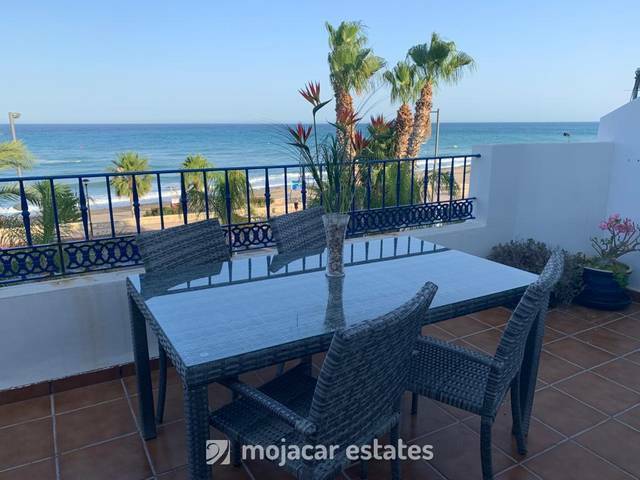 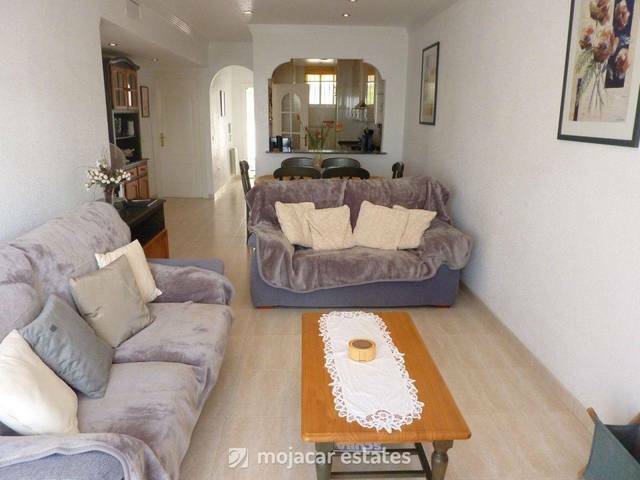 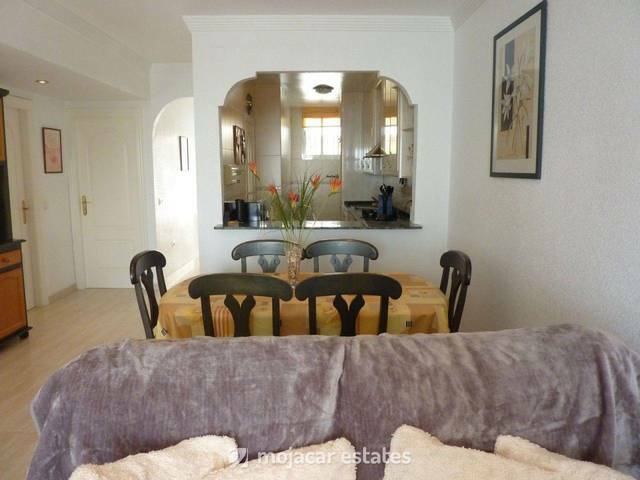 Zahories Mar - Beautiful sea frontline apartment centrally located in mojacar Playa with lovely views sea and coastal views, opposite the newly finished promenade and overlooking the sandy beaches ( Playa del Lance) Within easy walking distance to shops and all amenities. 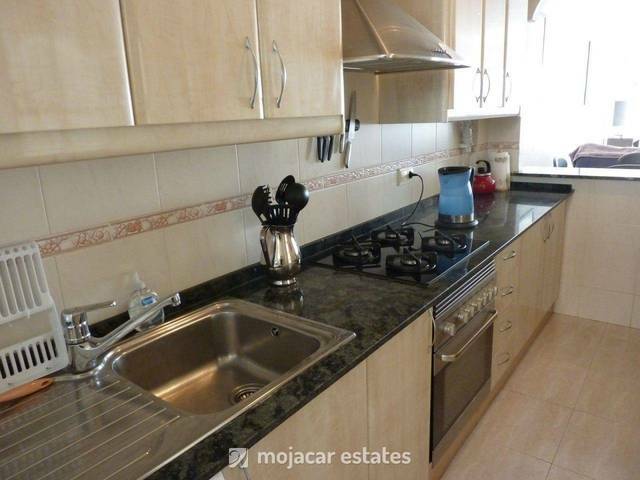 This is a top floor apartment in a residential complex with lift, community swimming pool and underground parking space. 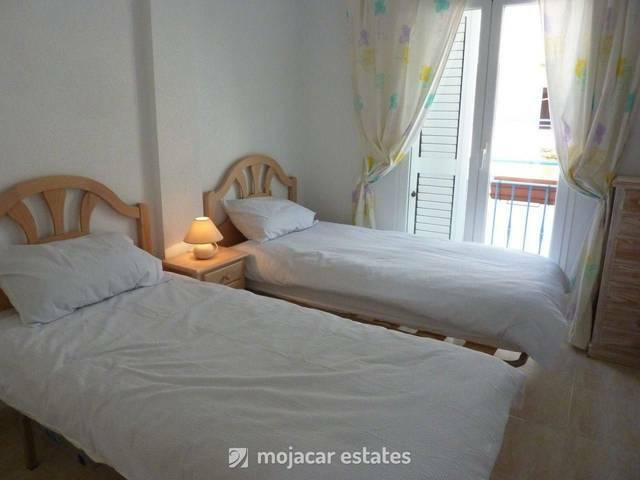 Very convenientely located both for winter and summer lets. 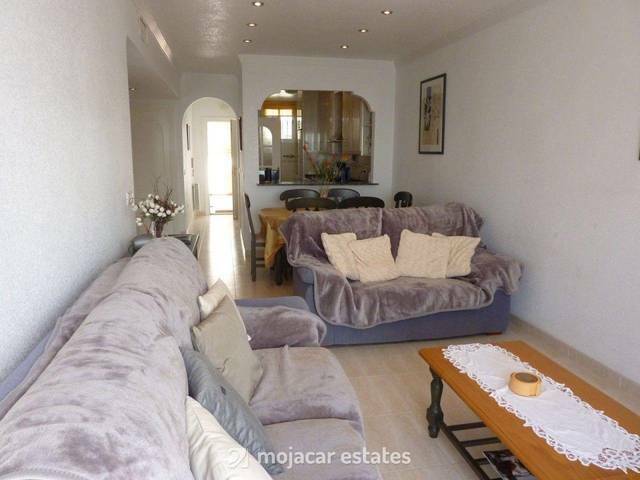 Front door opens into entrance hall and lounge-diner area with patio doors leading out to terrace. 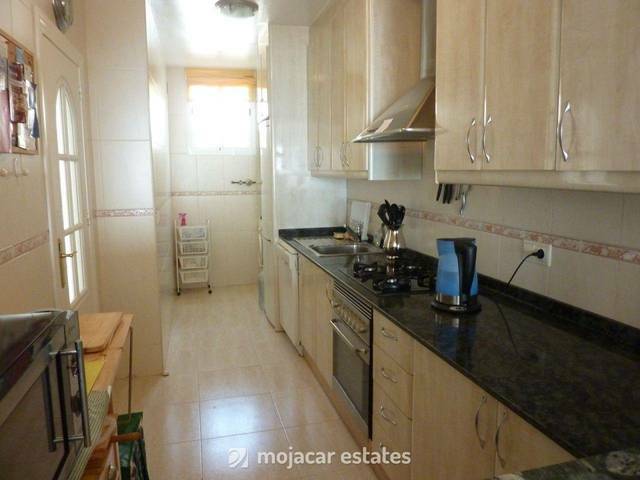 Fully equipped kitchen with arch looking out to dining area. 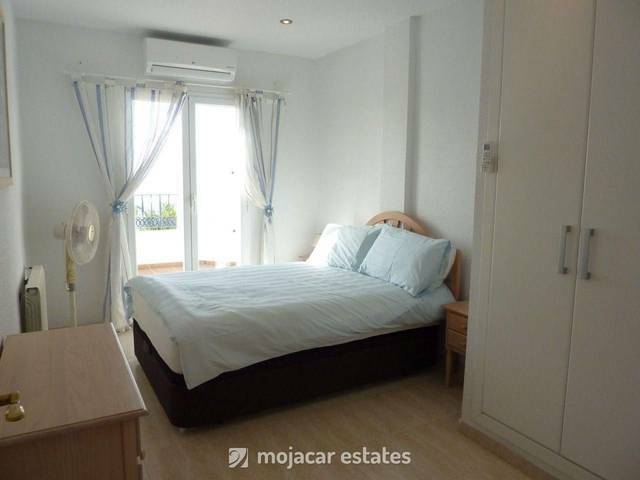 There is a double bedroom with double bed, ensuite shower room and access to terrace. 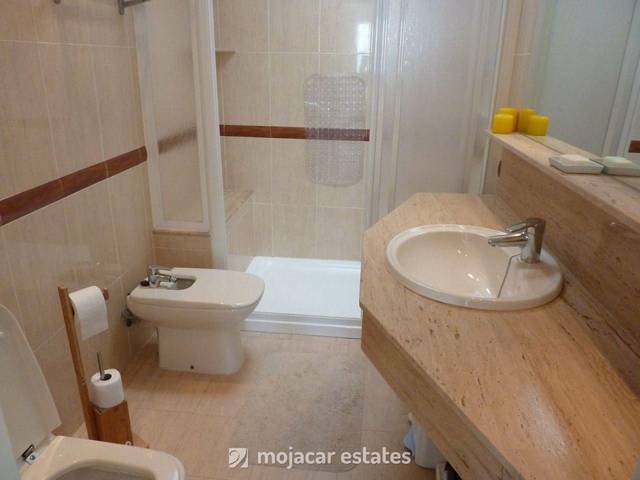 There is a second shower room and and guest bedroom with 2 single beds. 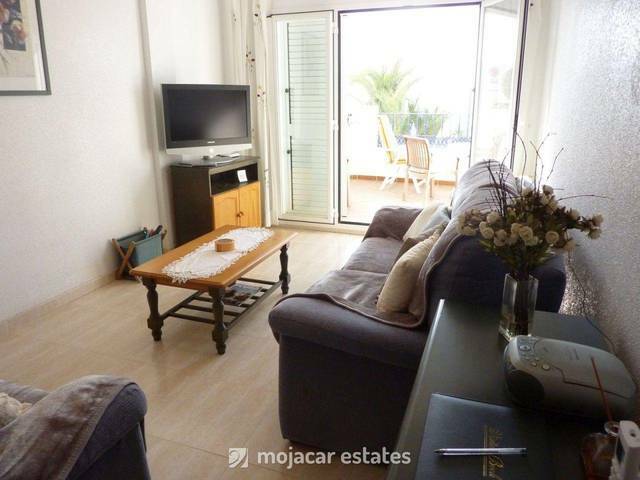 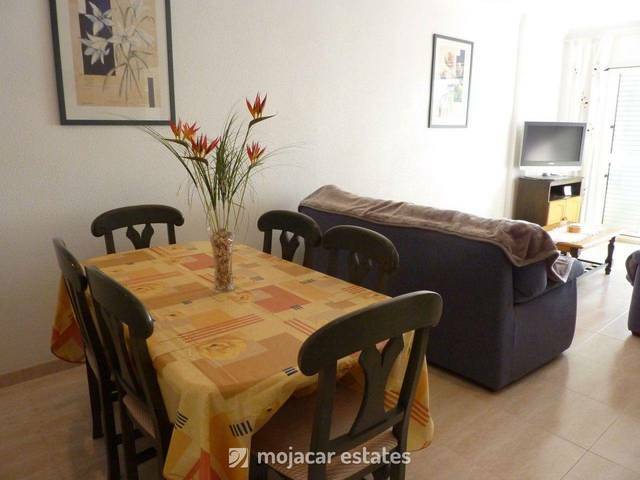 This apartment has centralised air condicioning and central gas heating, UK TV & Wi Fi connection.